Problem: Your are browsing your favourite web sites at office without the knowledge of your manager. One day your manage want to browse and show a web site related to work on your computer. The moment he starts typing first few characters of the web site, your Firefox browser reveals history of the websites which you visit. 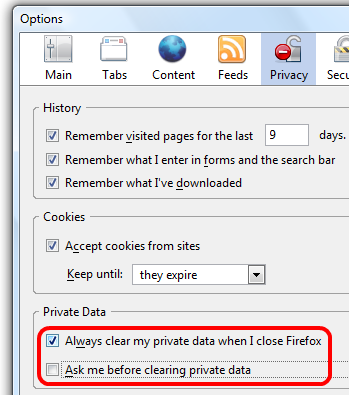 How to avoid such embarrassing situations by clearing the browser history automatically after closing the application?